27 « May « 2015 « Nothing in Biology Makes Sense! Do it for the Bats! 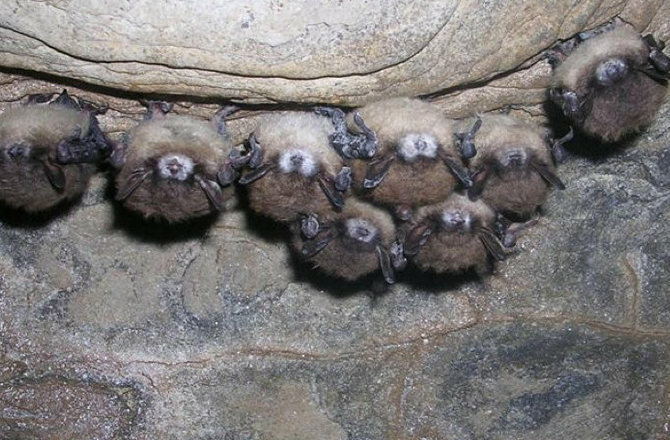 White nose syndrome is a disease caused by the fungus,Psuedogymnoascus destructans. It attacks a bats nose, ears and wings during hibernation, when it’s body temperature is at it’s lowest. It can cause massive mortality within bat colonies and there is no cure. As a result, researchers fear that bats will become extinct within the next few decades. There is new hope on the horizon for bats everywhere! A common bacteria, Rhodococcus rhodochrous, stops the fungus that causes white-nose syndrome from growing. Read more about the emerging hope for bats over at Discovery News!